User-generated content (UGC) refers to a variety of media such as Wikis, question-answer databases, digital video, blogging, podcasting, forums, review-sites, social networking, social media and mobile phone photography. User-generated content has gained in popularity through social media and content-based sharing sites such as Buzzfeed. 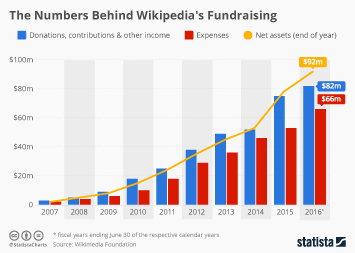 A well known and still frequently used example of factual user-generated content which is collaboratively edited online is Wikipedia, which has more than 2.36 million contributors worldwide. In additional to traditional Wikis, internet users upload information and post comments at increasing and frequent rates to a variety of different platforms such as social networks Facebook and Twitter or forum communities like Reddit. Photo sharing is one of the most popular content creating activity. Photos, including selfies and pictures of friends and family, are a popular form of shared social media among teens and young adults in the United States. One of the most popular photo editing and sharing apps is Instagram with 600 million monthly active users as of December 2016 and Snapchat with 158 million daily active users as of the fourth quarter of 2016. As of February 2017, 69 percent of U.S. adults had taken a selfie and uploaded it to a social media website. Product reviews are also a leading content creating activity. Local business review website Yelp had 121 million reviews in 2016 and as of mid-2016, book review platform Goodreads had 50 million reviews. Reviews for restaurants and cafés were the most commonly consulted type of online reviews, followed by ratings of doctors, dentists and general shops. Apart from photos, video has also become a popular platform for internet users to generate and share content. The leading types of video content viewed by YouTube users in 2016 were videos uploaded by other people, with brand videos and movies being less popular. User-generated short clips also topped the leading type of video content streamed to smartphones. The hours of video uploaded to YouTube increased significantly in 2015 from previous years, reaching 400 hours of video uploaded to the site per minute. Unsurprising perhaps, as a survey from the third quarter of 2016 revealed that 59 percent of internet users had uploaded or shared a video online in the last month.